A homeless woman, obese and reportedly suicidal, was found living in a makeshift one-room shack built by the previous occupants — two homeless Vietnam veterans — on the contaminated cleanup site inside Whittaker-Bermite on Thursday. The woman was taken by deputies with the Santa Clarita Valley Sheriff Station’s Crime Prevention Unit to caregivers at the Bridge to Home, where she was expected to receive care and attention. “To grab them, jail them, rotate them through court with a low-class misdemeanor is not solving the problem,” Sgt. Daniel Dantice of the CPU told The Signal Thursday. “Instead, we try to develop a program where we can work with agencies that can help these people,” he said. 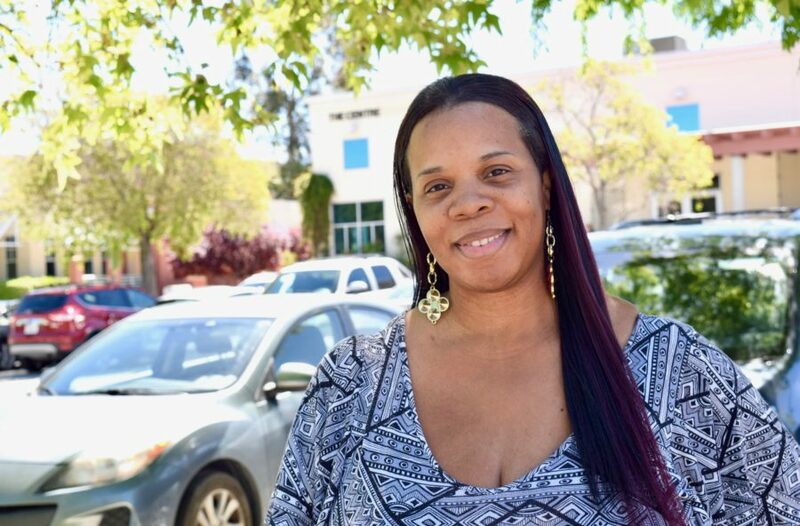 “The people at Bridge to Home have already facilitated some way to help her,” Dantice said, noting deputies and other agencies have been well aware of the homeless woman for some time. The woman, who can’t walk without the assistance of others, was asked to leave by a caretaker of the property. “She is trespassing, so we called the sheriff,” the caretaker told The Signal. 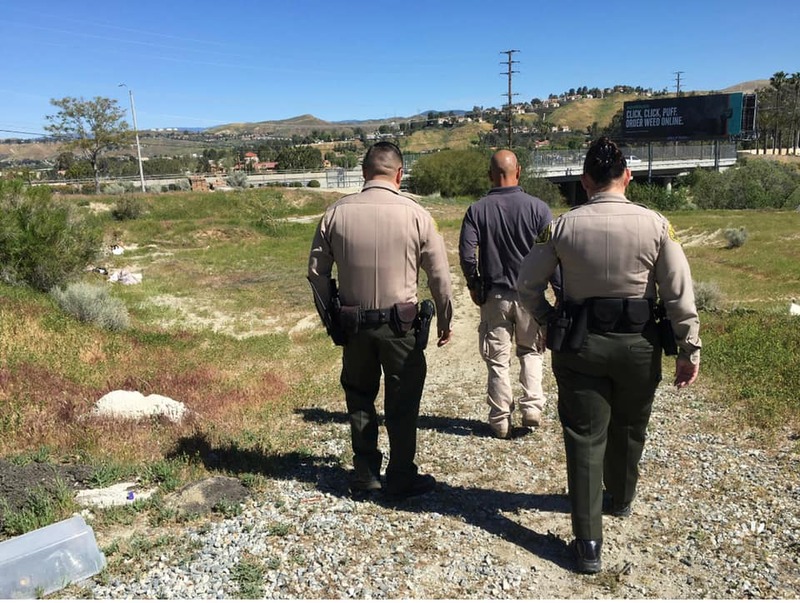 Homeless camp At 11:30 a.m. Thursday, two CPU deputies in a sheriff’s SUV, entered the contaminated site from Diamond Place, next to The Signal, drove south along a trampled grass path to a secluded trash-strewn valley. They left with the woman, whose identity has not been disclosed, at 11:55 a.m. The makeshift camp, centered around a wooden shack the size of a large backyard shed, was built at least six months ago by two homeless Vietnam veterans, according to the property’s caretaker. When confronted by agents of Whittaker-Bermite about four months ago that they were trespassing, the two veterans left when asked, the caretaker added. Since then, the shack, furnished with a couch and enclosed with a mosquito net has been sought out by other homeless people and drug addicts. The shack is flanked by two small gardens defined by chicken wire. Steps were carved out of the packed earth next to it. A trail of trash — beer cans, fast food wrappers, a meth pipe, a knife sheath — created a trail from the dirt road to the shack. The shack’s most recent occupant was brought to site by others then due to her inability to walk, and also was brought food. “We had to do something due to maintaining the safety of the property, as well as something for her well-being,” the caretaker said, adding “there’s more of a concern about rattlesnakes back there and a mountain lion.” “She said it was extremely painful to walk,” he said. “The other night someone brought her here and left her here.” Code enforcement Code enforcement officers with the city of Santa Clarita were also called about the site. “We did receive a report a couple of weeks back that somebody was camping out there,” Danny Rivas, city of Santa Clarita Community Preservation Manager, told The Signal on Thursday.